Thanks to the new Hardware System Info app, finding useful information about your smart phone has never been easier. This app is great for people that want to know everything about anything related to their phone’s performance, features and build. It is a great app that features tons of tools and information, that users would otherwise have a hard time finding on the default android menu design. The app is really lightweight and has very fitting graphics. It is being developed by a company called Techlity Innovation. The Hardware System Info app has useful information for anyone that’s trying to look out for their smart phone. 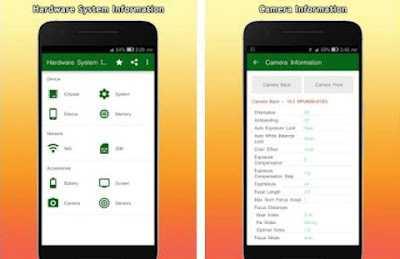 With the app, you can check out useful information like: chipset information, system information, android device info, memory, hardware, battery, sensors, network identification, and screen and camera information. Each one of these can be found on their own separate tab buttons, with tons of information relative to them. For instance, you can find what types of sensors your phone has, so that you know if you can measure things like gravity, running speed etc. We recommend this app for everyone that likes to always stay informed about their phones. You can find and download the app from Google Play.